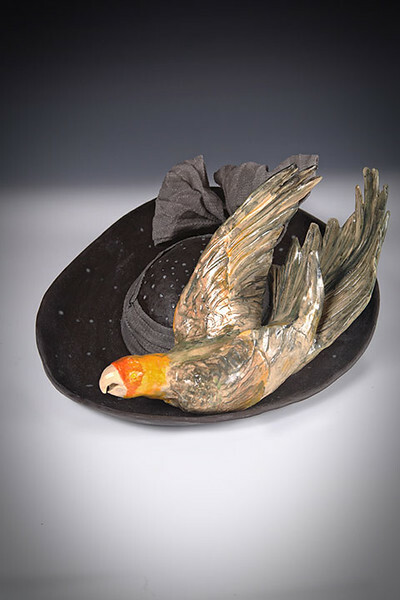 The Carolina parakeet was hunted to extinction, both because it was considered a pest by farmers and milliners wanted their feathers for hats. About the work: 7"h x 15"w x 13" d. Ceramic, fabric. $1200.